Following on the theme from last weeks games article (6 Free Portable Retro Games), here is another portable retro remake. Asteroids+Plus is what Asteroids always wanted to be when it grew up. Utilize an arsenal of weapons and missiles against the alien armies that are bent on annihilating Earth. 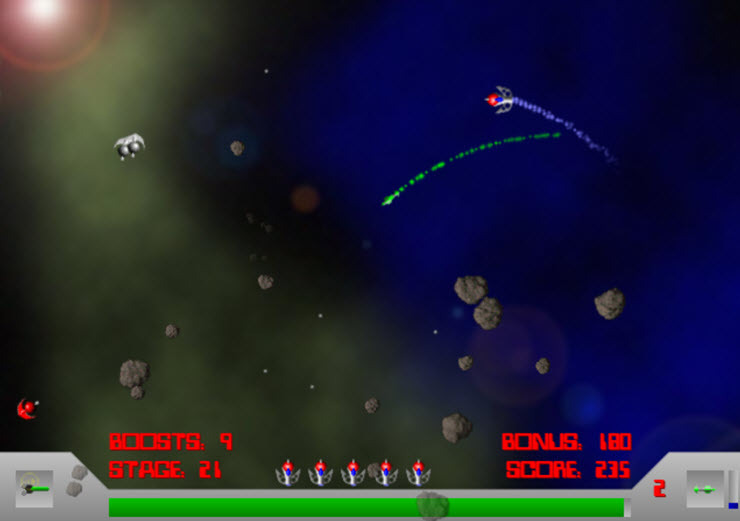 Pick up bonuses and take out asteroids and aliens to increase your score. When you’re ready, face the ultimate alien boss in a final showdown. Check out other games from this developer via the download link above. Scanning the executable through Virus Total resulted in one flag out of 39. Seeing how 38 of the 39 antivirus engines rate the file as clean, this is almost certainly a false positive. As an extra precaution, I scanned the file locally through Malwarebytes and it came up 100% clean. Prev:Linux Summer Special! Free Course, Free Operating System, Free Apps!